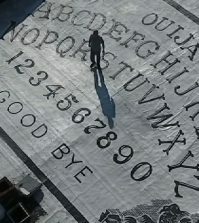 Witchcraft, hexes and murder in 20th century Pennsylvania? The strange case of folk ritual magic gone wrong in York County’s not-too-distant past. It is difficult to imagine witchcraft trials in the 20th century. 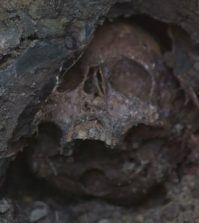 In the 1920s, however, York County, Pennsylvania was still steeped in old Dutch mysticism, a superstition that lead to a brutal murder which still haunts the area. 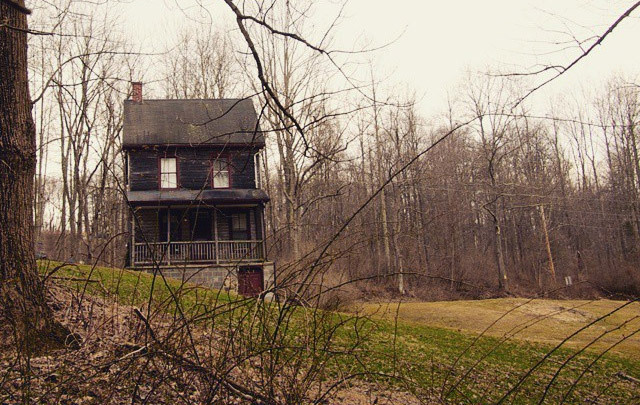 The house pictured above, located in what is known locally as Hex Hollow, is now considered one of the most haunted houses in Pennsylvania. In 1928 it was the home of Nelson Rehmeyer, the place where he would be killed. 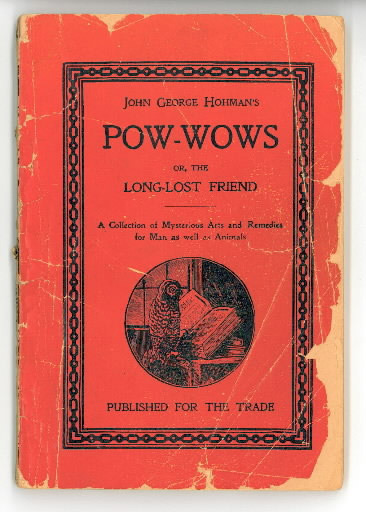 Pow-wowing was a form of ritual folk magic practiced by the Pennsylvania Dutch. It was rooted in a book published in 1820 by German author John George Hohman. The Long Lost Friend was a “collection of mysterious arts and remedies for man as well as animals.” It contained spells, remedies, recipes and talismans to cure ailments and domestic troubles. It became entwined with folk traditions in Pennsylvania when it was translated to English and renamed Pow-Wows. When Rehmeyer’s neighbor John Blymire began to suspect he was cursed after years of illness and bad luck, he followed the advice of local witch Nellie Noll, known as the River Witch of Marietta. She instructed him to find and burn Rehmeyer’s copy of Pow-Wows, the source of his spells, and bury a lock of the man’s hair. When Blymire, along with young accomplices John Curry (14) and Wilbert Hess (18), broke into Rehmeyer’s home, they were unable to find the book. Rather, they bludgeoned Rehmeyer, bound him to a chair and set him on fire in a desperate attempt to lift the curse. Interestingly, Rehmeyer’s body did not completely burn despite being doused in kerosene. 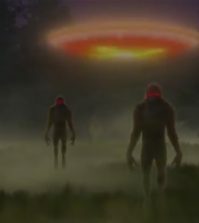 According to McGinnis, a pervading theory at the time was that the hounds of Hell returned to claim one of their own. Today the house is owned and maintained by Rehmeyer’s great grandson. You can tour the house and see artifacts that belonged to Rehmeyer, including his clock which apparently stopped at 12:01am, the time of death determined by the coroner. 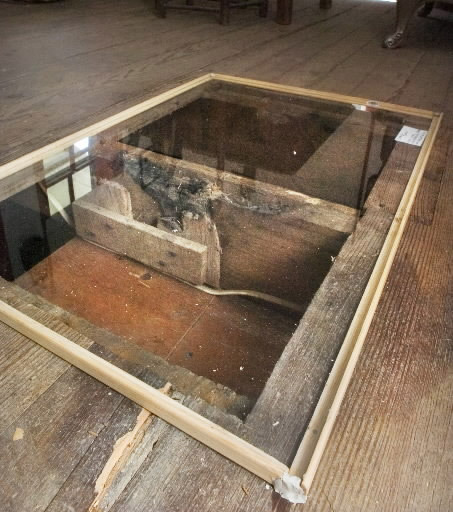 A window in the floor of the hex murder house reveals burn marks remaining from Nelson Rehmeyer’s death. “The Long Long Friend” is referenced many times in the Appalachian folk tales of Manly Wade Wellman. His “Silver John” stories in particular make regular mention of it. It is a form of religion to some..but not every witch..
Its crazy how now a days some people still try and practice witchcraft and other things. Personally i would like to know when are the tours taking place? Why is it “crazy”? Wicca and Paganism are forms of religion, like Catholicism, Christianity, Judaism, etc are forms of religion. They are lifestyle choices that people adopt in order to be close to the elements and the gods and goddesses. They have been around for hundreds of centuries. If it were actually read up on, one would not find it to be crazy. It is better to chose to understand than to judge and fear. No reason not to, unless one merely wants to bash something they chose to not learn about. It isn’t evil, it isn’t bad. It is actually very peaceful and tranquil and beautiful. Blessed be. This *me pointing to your post above because I can’t find the stupid up arrow. Blessed be! Merry meet and merry part and merry meet again! I bet if you went back in time and met a true Pagan it would blow your mind. Yes it is evil in that the powers you access to help do things are evil.The most powerful of Wiccans esp those born in it know it too. Many are playing with demons and never regard why it is forbidden by God. I use to be Wiccan. I was blissfully ignorant but Lord Jesus Christ had grace & saved me. I was allowed to ‘see’ what was helping me. The only thing close to describing same was that entity face on Conjuring (1st film) . Hell is also real. Repent all and believe the Gospel. God demonstrated His love for us in that while we were in sin Lord Jesus died for us. Dont be willfully decieved. Wow, you’re a judgemental one, aren’t you? What are you even doing here? This post isn’t judgemental. It’s just sharing the facts and real experiences with witchcraft. I too left the falsities of these pagan and wiccan beliefs for something more substantial, good and true. WOW I grew up believing as you do now, and I don’t try to convince anyone of anything. However I will tell you that according to Roman and Vatican records, most of what is called the Holy Bible, is Fictitious. There is a book called the Bible Fraud, written by a Former minister who thoroughly researched outside historical facts, and documents. His research uncovered the Truth of the Immaculate Conception. As well as the Appointed Author of the modern day bible, (Sir Frances Bacon) other wise known as William Shakespeare. Sir Bacon was commissioned by King James in 1611 to compose the Bible of the day into a Book that the King guided. Certain verses, chapters, and whole books were Omitted or changed. That is why the Bible is so contradicting and confusing at times. There are Also the Jesus papers that very similar as well. For example: We are taught that Jesus rescued an Adulterous Whore from being stoned to death, however it has been revealed that Lady of Magdalena was in fact the wife of Jesus. She is also the Holy Grail, the writer Dan Brown tried to expose this fact in his book “The Da Vinci Code”. I tell you this to warn you that the church has long been the controlling mechanism of the Roman Empire that now operates from the Vatican. These facts are well known and published but most people lack the training to research it on their own. Don’t feel bad most people in the world today do not even know that your soul is owned (Legally) by the Pope and Rome as evidenced by the number on your Birth Certificate. Which is an owners title of your mind, body, soul. Christianity is only a religion used to bind, and subvert the natural will of the populace, making the control of such, much easier. The bible isn’t meant to be taken literally. It’s basically a collection of life stories to learn from and live by. Catholicism IS Christianity! Why on earth would you separate them? Don’t be so daft! Because there are other religions that put Christ at it’s forefront that are not Catholic. Being raised Baptist and converting to Catholicism I separate them as well, because they are so different that they should have different classifications. Why don’t you try doing some research and find out where modern day religions can from. Stop being ignorant! And learn about what you put down before you speak. Not true. Stop believing in everything revisionists tell you. Witchcraft is dangerous, in ALL its forms. We cannot replace God through these so-called powers. Whatever happened to judge not lkest ye be judged. And, don’t point out the spec in your brother’s eye while a plank is in yours? Sounds like a madman who took two impressionable youths to Hell with him. Sad. “Can’t find book, therefore bludgeon and burn presumed owner of book” seems like a strange logical leap to make. 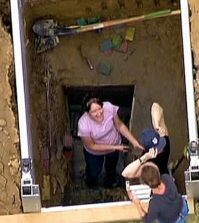 Kinda seems like murder might have really been plan A.
Yeah but considering the time period and the beliefs of the people involved, it really did seem logical to them in order to stop a curse. Stopping the source of a curse is actually a good logical leap. In their minds, it was self defense.